Last year, I marked this atrocious anniversary with a blog post you can find here. And I assume every year hereafter, I will do another update; the 70th anniversary, the 71st anniversary and so on because its lesson still has not been learned and even worse, it’s still defended by Americans today. In that post a year ago, I talked about Robert McNamara, a person involved in the nukes dropping and later Secretary of Defense for the Vietnam War, and he said about WWII, and the firebombings and the nukes, “We were behaving like war criminals, but what is immoral if you lose, but not if you win?” And that’s exactly it. We won, we get to write the narrative. And the narrative has been particularly spell-binding on the American people for the last 69 years. We won the language of history, but we’ve lost the moral ground. There’s no justification for utilizing a nuclear weapon, much less two of them. Much less after you’ve already firebombed most of their cities, anyway. Much less after they’ve already said they’d surrender. Much less after you said you wouldn’t accept their surrender because they wanted to keep their emperor and then they kept their emperor for decades thereafter, anyway. It was a deliberate attack on a civilian population with a nuclear weapon. It has to be considered the worst terrorist attack in mankind’s history. And what’s even worse, we bombed Japan on August 14th! That’s five days after we dropped our second nuclear bomb, this time on Nagasaki. That’s extraordinary. 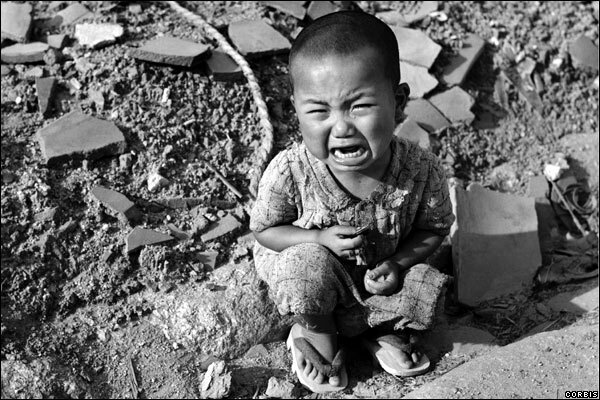 You cannot justify the atomic bombings morally. The attempt to do so pragmatically is a strike against pragmatism, and otherwise wrongheaded. 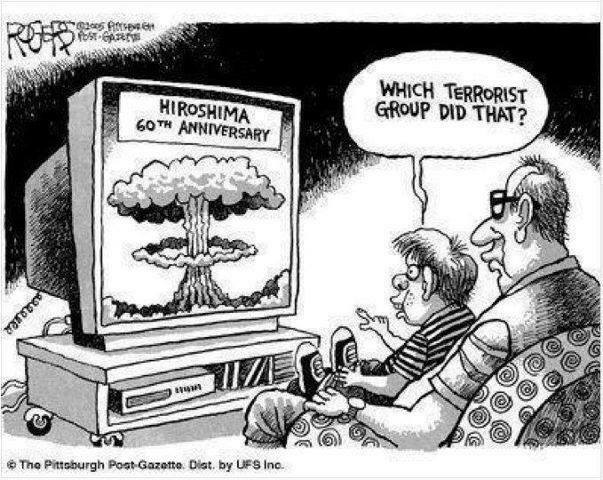 It is a sad spectacle that Americans and others do not want to confront the massive terrorism conducted by the US government in WWII and in other conflicts. Until it becomes an uncontroversial fact that the United States has committed indefensible terrorism and war crimes, I see no hope for a major cultural shift toward peace or freedom. You must entirely renounce the obviously unjust to become a voice for justice, and if you think exterminating a hundred thousand civilians with a push of a button can ever be justified, then you have swallowed ethical collectivism whole, and all the government needs is a good enough sounding excuse and you will sign on to virtually any barbarism. In 1946, the U.S. Strategic Bombing Survey’s book, Japan’s Struggle to End the War, was published. It concluded that Japan would have surrendered without the bomb, without the Soviet declaration of war, and without even a U.S. invasion. That’s 1946. It’s 2014. Yet, we still buy into the propaganda that the bombs saved “millions” of American lives. As Gregory says, targeting civilians to manipulate their government is the very definition of terrorism. And that’s we did. Twice.